Cracks found in the walls or ceilings can definitely ruin the foundation of any house. Such cracks are likely to create problems like moisture issues, flooding, water leakages, and many more. In order to get rid of such cracks and prevent leakages from happening, only work with a trusted waterproofing contractor to permanently solve the problem. In this regard, PU injection or grouting waterproofing is considered to be the most suitable solution to such issues. This specific waterproofing method is proven to be highly effective in treating various leaks and cracks. Just read some of its advantages below. If your waterproofing specialist advices you to go for a PU Injection waterproofing method, you should familiarise yourself with its different benefits. PU injection grouting is a very cost-effective waterproofing method as it is less time-consuming than other waterproofing options. This comes as no surprise for those who are familiar with its name as PU stands for Polyurethane – a substance that hardens quickly. Due to its fast, easy, and efficient installation, PU injection in Singapore remains a popular waterproofing method for most clients with ceiling leaks. Aside from its quick installation, PU Grouting in Singapore is also regarded as a highly viable, effective, and useful solution that can withstand any weather and climate. It can effectively brave through in warm and cold weather conditions. On the other hand, there are other waterproofing systems that are not as viable and effective like PU grouting. PU grouting is known to involve a seamless finish like no other. 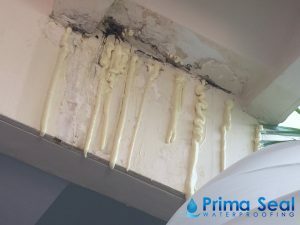 Most clients who opt for this waterproofing method can attest that their ceilings look closely similar to when they first had it constructed. Waterproofing is all about durability – a factor held with great importance in waterproofing systems. With this, the polyurethane grout system comes with the best durability that’s not easily susceptible to wear-and-tear. There are also some certain features and benefits of this waterproofing system that cannot be found in other waterproofing methods. PU grouting comes with a UV ray protection that fully covers and protects your house from the harmful effects of the Sun. 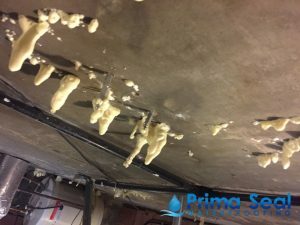 Some of the other benefits and features of PU injection waterproofing system is their resistance to alkaline cleaners, fuels, as well as battery. As such, this also protects your home from harmful acid rains. 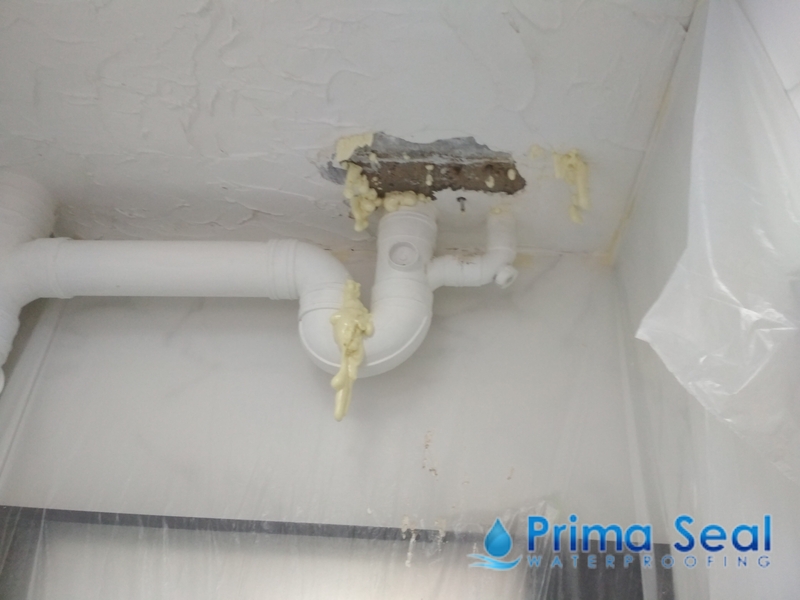 Prima Seal Waterproofing Singapore offers professional waterproofing services to solve all types of water leakage issues, including Ceiling Leaks, Roof Leaks, Bathroom Leaks, and many more. With our trusted waterproofing services like Balcony Waterproofing, Bathroom/Toilet Waterproofing, Roof Waterproofing (reinforced concrete R.C. flat roof), Floor Waterproofing, Concrete Repair & Waterproofing, Wall Water Seepage Repair, & Swimming Pool Waterproofing. 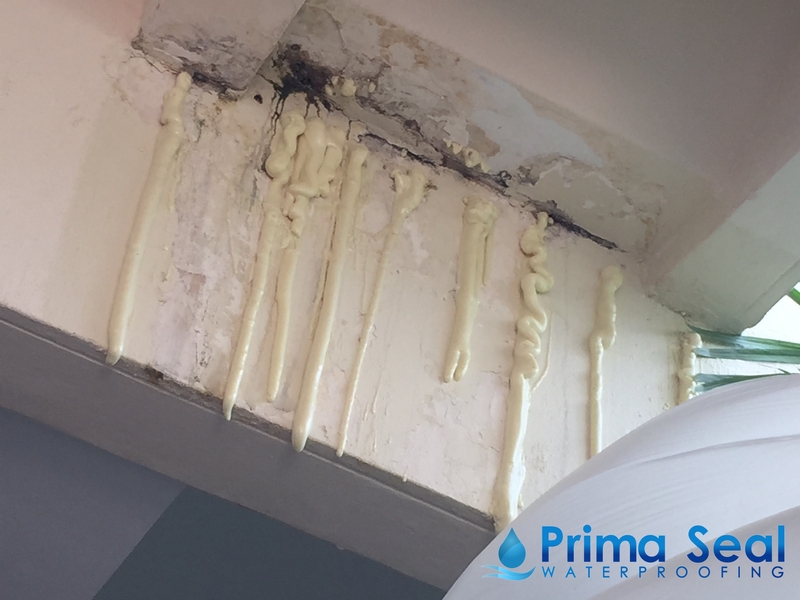 One of our most popular waterproofing methods involves an innovative Flood Infusion Treatment, which allows us to fix water leakage issues within a day and requires no hacking or removal of existing tiles. Other methods include PU Grouting/Injection, Fibreglass Acrylic Waterproofing System, and Torch On Membrane Waterproofing. With more than 10 years of experience as a trusted waterproofing contractor, we have undertaken thousands of successful projects for both residential and commercial areas. We are approved and registered by the Building & Construction Authority (BCA) of Singapore as a CR13 waterproofing contractor. We are also proudly a Bizsafe certified company. Call us for a free consultation and inspection at +65 6653 7942, Whatsapp us at +65 9002 8620, or email us at enquiry@primaseal.com.